We are thrilled to announce our first Frontline Club event in Turkey on 21 January 2016, which will mark the start of regular screenings and discussions taking place in Istanbul as part of the Frontline International Partners programme. Alongside our substantial international activities across Russia and Eastern and Central Europe, Frontline Club Istanbul will promote a critical engagement with current affairs, stimulate a culture of informed and open debate, and support high-quality and independent journalism. For this first Frontline Club Istanbul event, we are pleased to screen Sean McAllister’s 2015 award-winning documentary A Syrian Love Story for the first time in Turkey. The event will be introduced by Frontline Club founder Vaughan Smith, and followed by a discussion with filmmaker Sean McAllister and protagonist and Syrian opposition activist Raghda Hassan. The discussion will be moderated by NTV journalist Can Ertuna, who has covered conflicts across the Middle East, Africa and Asia, and is the author of Arap İsyanları Güncesi (Arab Uprisings Diary), published in 2014. This screening will be held at SALT Galata and in collaboration with P24, a Turkish not-for-profit, civil society organisation that supports and promotes editorial independence in the Turkish press at a time when the journalistic profession is under increasingly fierce commercial and political threat. Amer, 45, met Raghda, 40, in a Syrian prison cell 15 years ago. Over a number of months they communicated through a tiny hole they had secretly made in the wall. They fell in love and, following their release, married and started a family together. This film tells the poignant story of their family torn apart by the tyrannical Assad regime. Filming began in Syria in 2009, prior to the wave of revolutions and ongoing changes in the Middle East. At the time, Raghda was a political prisoner and Amer was caring for their young children alone. McAllister filmed in the thriving heart of the Yarmouk Camp in Damascus – now an infamous news story as the Assad regime blocked all aid and food to its inhabitants. This intimate family portrait probes to understand why people are literally dying for change in the Arab world. As Raghda is released from prison, filmmaker Sean McAllister himself is arrested for filming and the political pressure around all activists intensifies. The family flee to Lebanon, and then to France where they are given political asylum in the sleepy town of Albi, where they now watch the revolution from afar and wait for the fall of Assad. However, in exile Raghda’s mental health suffers. We see their new life in France develop, but the war is now between them. In finding the freedom they fought so hard for, their relationship is beginning to fall apart. 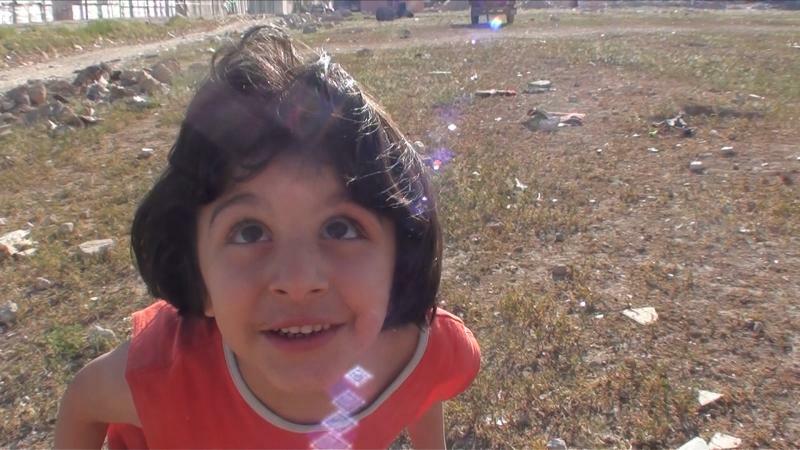 A Syrian Love Story won the Grand Jury Prize at the 2015 Sheffield International Documentary Festival.